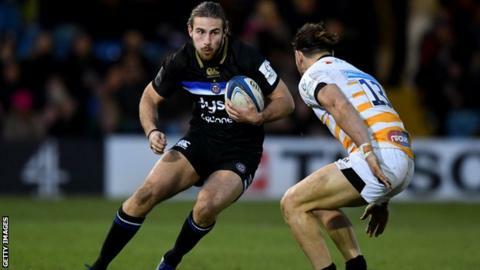 Bath centre Max Clark has signed a new contract with the Premiership club. The 23-year-old came through the academy at The Rec and made his debut in 2014. But he has struggled to secure regular action this season, making 12 appearances, with four of those coming in the league. "Max has been unfortunate with injuries over the last 18 months but he's got a really bright future in front of him," said director of rugby Todd Blackadder. Bath have not announced the length of Clark's new contract.